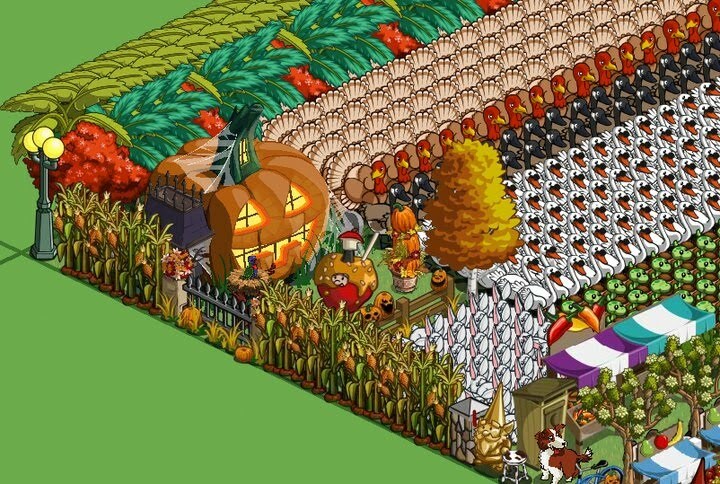 Home » FarmVille , humour , KBL-Random-Ramblings » The Crazy World of FarmVille! Oh no! Not another post on FarmVille! But, honestly, this game is crazy, and its developers (Zynga) are even crazier, and we, who continue to play this game despite all its craziness, are obviously the craziest of the lot! In this post though, I will just highlight the fact that "Zynga is crazy". So, why do I say that Zynga is a crazy team of developers? Well, first they watch us all buy hundreds of Hay Bales, only to sell them all later after we got our Pack Rat ribbons. And then lightning strikes them, and they come up with the Baled Out ribbons! So we go and buy all those Hay Bales again! And then there was the time when we caught on to their Chicken Coop glitch in the game, got ourselves half-a-dozen coops (I got 11 of them actually) and started publishing Mystery Eggs as if they were coming straight out of an assembly line! They eventually cleaned up that mess, but we continued the "assembly line production" of Mystery Eggs via "multiple harvesting"! Finally, they expanded the coops, putting an end to the "multiple harvesting" too, and THEN came up with their Cracked and Egg-cellent Discovery ribbons! Right after the "mass manufacturing" stopped! Their crop mastery came after most of us had already planted and harvested thousands of every single crop! And their tree mastery is an even bigger fiasco! Most of the players have already sold off their trees after getting their Knock On Wood ribbons! I was perhaps among the rare few lazy arses in the game who always kept aside a major portion of the farm only for trees, like a forest belt you know, so that I could keep earning even if I took a break from active farming, i.e. plowing, planting and harvesting! Ahh, but the weirdest thing Zynga has done in the game is the fuel stunt! First we got the fuel for real money, and hardly anyone bought it. Then it started pouring from Mystery Eggs, and we managed to collect quite a lot with our "multiple harvesting". Then they gave us bigger farms so we'd need more fuel. But few days later, they released the crafting goods, which could be redeemed for fuel. So again we had more fuel than we could need for our tractors, seeders and harvesters. And finally the icing on the cake... they release the "Combine" -- a 3-in-1 vehicle, so we'd need just 1/3rd of the fuel we needed earlier! Brilliant, isn't it? So many crafting goods giving us so much free fuel, but we don't need any of it now! Heck! I have over 4000 gallons of fuel in my account on FarmVille! I could open a gas station too along with my "rich" farm! This is my seventeenth post for NaBloPoMo November 2010. "I have over 4000 gallons of fuel in my account on FarmVille!" P.S. The way our agricultural/fertile lands are transforming into malls, industries, apartments etc... all in the name of 'development'... 'Farmville' will have to come to the rescue soon. And we can become masters of pantomime! @ Ritu: Oh! U played FV too? Why did u leave?